Influenced by the success of the Dacia Sandero Stepway, the Dacia Logan MCV Stepway promotes a stylish, modern and practical model with an attractive two tone front and rear bumper and dynamic roof bars. 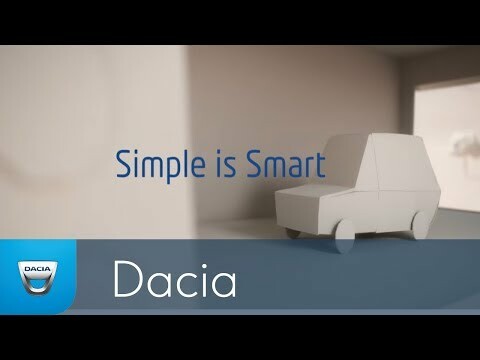 The Dacia Logan MCV Stepway features state of the art controls such as parking sensors, optional camera, and Bluetooth® technology to accommodate your needs. The model has prioritised safety featuring Emergency Brake Assist (EBA), Anti-lock braking system (ABS) and Electronic Stability Control (ESC) allowing you to sit back with peace of mind and appreciate the journey. The Dacia Logan MCV Stepway has an increased ground clearance of 174mm and a raised driving position giving you full view of the road ahead from behind the wheel. The two tone colour scheme front and rear bumper, honeycomb grill and LED daytime running lights give the Dacia Logan MCV Stepway a real presence on the road. The interior of the Dacia Logan MCV Stepway revolves around what matters most – you. Electric window switches with 'one-touch' functionality are indented into the door panels, the 12V socket allows passengers to charge their valued devices and the air conditioning feature keeps the car cool during the summer weather. Finding a new vehicle with as much capacity as the Dacia Logan MCV Stepway for the price would prove difficult. The adventure seeking model exhibits split folding rear seats and an extensive boot allowing you to fit in long or large objects, as and when you require. Additionally, the cleverly designed stowage such as a net in the passenger foot well proves useful for your travelling essentials. The Dacia Logan MCV Stepway doesn’t hold back when it comes to technology. Dacia’s on-board 7” touch screen tablet Dacia Media Nav provides access to useful and practical features including state of the art navigation, media from multiple sources and hands free telephone using Bluetooth® technology providing you with all the information you require on your long or short adventure. The Dacia Logan MCV Stepway carries difficult jobs in its stride, such as hill starts. Hill starts will no longer cause you the feeling of uneasiness as the Dacia Logan MCV Stepway features Hill Start Assist. Another excellent feature from the model is the Speed Limiter and Cruise Control which makes your journeys less stressful. A selection of petrol engines are available including Lauréate TCe 90 and SE Summit TCe 90 as well as diesel engines such as Lauréate dCi 90 and SE Summit dCi 90.